Pool Service in Irving, TX is not a hassle when you contact Sun Valley Pool Service. Voted best pool care in North Texas area. We’ve been servicing your neighbors since 1982. Call us today for a free estimate. Irving pool service includes weekly maintenance. Swimming pools, of any type requires regular maintenance in order to keep it functioning. Even though major repairs would need the interference of professionals like us, small repair works can be done using pool repair kits. 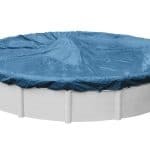 However, before you perform any type of repair on your swimming pool, you need to know about the type of pool you are having and the supplies you would need for the repair. Gunite and concrete pools require plaster repair with time. 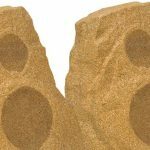 The common aging issues with these in-ground pools include cracking, chipping, popping hollow spots as well as wear spots where the gunite under the plaster starts showing. This kind of repair is not at all difficult for anyone to perform, and you can always find kits for fixing them out. If you have a fiberglass pool in your home, the problems you could face include blisters, bubbles or cracks. 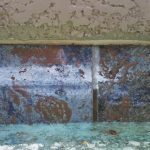 You can fix these problems using fiberglass repair kits that can be bought from a swimming pool supplies store or a boat and marine supplies store. However, it is a difficult task to match the color of the repaired area with the rest of the fiberglass pool surface. Therefore, you could consider hiring the service of professional Irving Pool Service to match the repair perfectly with the surrounding. Among all the types of swimming pools, the vinyl lined and vinyl pools are the easiest to fix yourself. If you can find the crack or the leak, it is a simple task to repair the problem using a vinyl repair kit. You can also find some kits that let you repair a problem under water. however, for permanent solution it is ideal to drain the water in the pool below the crack before you carry out the repair work. However, if you are dealing with more serious problems it would be better to hire the service of experts. Make sure that you do some research before hiring a pool repair service and also ask the service about the amount of time they would require to complete the project. If you find any break or problem in your swimming pool during the winters, it would be much more economical to hire their services when they don’t have much workload. If your swimming pool has problems pertaining to plumbing, major cracks or filtration system, it would be best to get the help of professional swimming pool repair services like Irving Pool Service rather than repairing it yourself. If you want to minimize the chance of having to hire a weekly pool service, then it is necessary that you regularly take care of your pool. The following tips can help you to keep your swimming pool working throughout the year without any issues. There are basically three parts to your swimming pool â€“ the walls, deck and the steps. For most of the repair works your repair kit needs to consist of acrylic resin, pool plaster, sponge, rubber or plastic gloves, plastic prowls, matching paint and a shot glass. The first part of your repair work is to drain the pool off water. You cannot repair a pool completely if there is water in it, and professionals like Irving Pool Service recommend giving at least a day to drain the water. The next thing you would need to do is to acid wash the pool. Visit the nearest home depot and get an ideal chemical wash for your swimming pool. When washing the pool, make sure that you are wearing a gas mask, rubber gloves and safety goggles. Then, allow the pool to dry completely. Search for holes or cracks and mark them. Blend a shot glass of acrylic resin and two cups of pool plaster and mix water to it. Make sure that the mixture is neither too runny nor too dry. Then, put your gloves on and using the plastic prowl paste some solution on the crack. Spread it across all the cracks and holes that you marked. Then, apply it evenly across the surface of the break and allow it to dry. Then again give it another coat and let it dry. Using the sponge rub the surface of the repaired cracks. Then apply the paint onto the repaired surface, making sure that its color matches with that of the surrounding area. If you are able to perform this simple task regularly, it would help you to save a lot of your money on major repairs where you would require the service of professional Irving Pool Service. In-ground swimming pools can face different types of damages like chipping or cracking. With the help of proper professional pool service you wouldn’t find difficulty in getting these repair works done instantly.